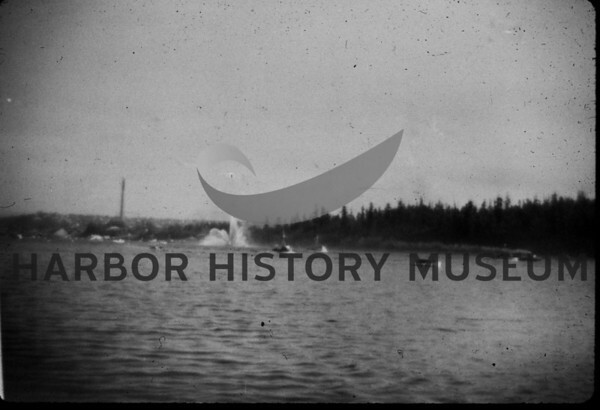 Celebration at last ferry run when first Narrows Bridge was opened. Fire boat spraying, etc. 6/30/40. Source: Elmer Carlson. Gig Harborferriescelebrationlast ferry run1st Narrows Bridgefire boat..